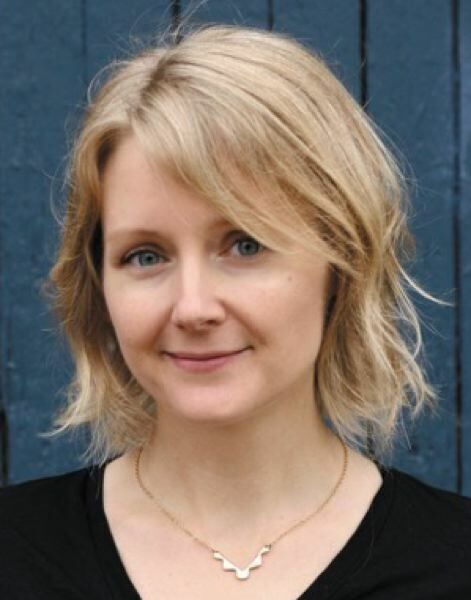 Chelsey Johnson's debut novel "Stray City" ($25.99, Custom House/William Morrow) is a romantic comedy set in Portland in the early 1990s. In its early pages, Andy is a student from Nebraska who arrives in Portland to attend Reed College. We learn, through a series of flashbacks, that her family rejects her when they find out she's a lesbian. After a last-ditch intervention by the family priest fails, they cut off her college funds. Andy returns to Portland, determined to make it. She scrapes by at low-paying jobs by day, cranks out letterpress wedding invitations in a warehouse by night. Andy's new family is a group of fellow artists, musicians and students who meet regularly for what they call "Family Dinners," a roundtable of women known as "the Lesbian Mafia." "Girls cut their own hair, built bikes, silkscreened T-shirts, taught each other self-defense, formed bands on the spot, and did not hesitate to turn up the volume." Everything is going along fine until Andy, feeling loveless and rejected after a breakup with a woman named Flynn, crosses enemy lines and begins an illicit affair with a drummer named Ryan. Soon afterward, Andy learns she's pregnant, setting in motion a romantic comedy that resists easy gender roles and categories, and is a whole lot of fun to read. 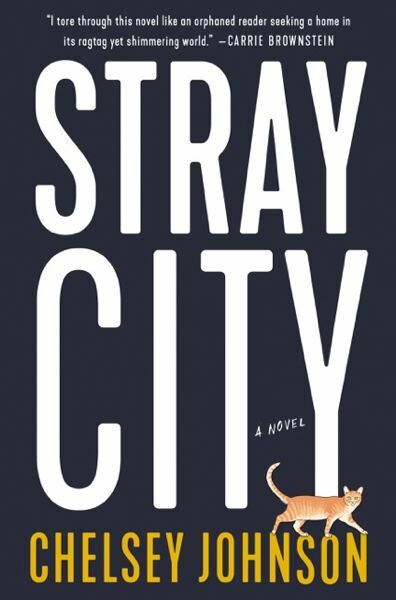 Tribune: I loved "Stray City," it's wonderful. When did you live in Portland? Johnson: I lived there in the summer of 1995. I was 19, and it was my first summer on my own. I came back in 2002 and lived there off and on until 2009. I had a house that I had to let go of in 2012, I wish I hadn't. Tribune: Why did you leave? Johnson: I left for a teaching job at Oberlin College (Ohio). I loved living there, it was the happiest time. But, it was also famously hard to find decent paying work then. When the opportunity came to teach at Oberlin, I thought, "I could do this for a year, just take a year away." Then I met somebody also teaching at Oberlin. I never intended to stay away, but it was probably leaving that made it possible for me to write this book. Tribune: Where do you live now? Johnson: I live in Richmond, which is the Portland of Virginia. One of my friends said it's like Portland was in the '90s. Until recently, you could buy a Craftsman home for under $200,000. But it's far more Southern and much more diverse than Portland. Tribune: So, it's not likely to be the setting for a satirical TV show anytime soon? Johnson: Well, "Homeland" is filmed there and Civil War stuff. But, no, culturally it's not there. It's not a zeitgeist-y kind city, but it does have the beards, the beer and the coffee. Tribune: I'm presuming that you hung onto everything you ever wrote to write this book. Johnson: Oh, my god, yes, everything. I never throw anything away or delete anything. Some little snippet would show up in the things that I saved, and I realized, when I'd find these little things, that I've been writing this book for a long time. Tribune: What's your approach to organizing all the stuff you hoarded, do you use novel-writing software? A writer friend recommends Scrivener, especially if you keep writing the beginning over and over. Johnson: Yes! I use Scrivener. Don't just keep starting again and again because you'll probably have to throw it out anyway. Just race forward and close your eyes and grit your teeth. I finally learned that when I wrote part three of the book. I told myself, "It's going be bad, the dialogue is going to be basic and cheesy," but I had the last part done in eight weeks, and I knew where it was going. Tribune: Without giving away too much, let's talk about the main characters in the story, Ryan and Andy. Johnson: He's a complicated person. I didn't want him to be bad or perfect. The characters just are who they are and they can't change. So many queer stories end in death or despair, that's a common trope. Even though much of her life has been complicated and painful, I did want Andy to be happy. Tribune: There are many hilarious moments, but there's also great sadness. Andrea basically has no mother to turn to after she comes out as a lesbian. Johnson: When I started the book I didn't think I'd be writing so deeply about her family, but in order to illustrate the emotional stakes, I had to go back to the family stuff. And I had to return to the parents to see who they are, and where she came from. They've done something terrible and painful in rejecting her, and they're doing it because they have a different belief system they can't let go of. Tribune: I loved part two and the way postcards, posters and messages on answering machines provide much of the structure. Johnson: Originally, that section was like 150 pages straight-up story. And that middle section was slower and more contemplative — but it was not the place to slow down, it was actually where I needed to really pick up the pace in order get past that part when readers put a book down. Tribune: You did a reading event at Powell's earlier this month. How was it? Johnson: It was like my Make-a-Wish moment to see my name on the marquee. Powell's is a place I would go to late at night and, even though I was always so broke, I'd let myself buy books. It was also like a reunion, of course, with so many old friends there and Kevin Sampsell (writer and longtime Powell's staffer) running the event. It all happened in the best possible way.